More disappointing than a truly bad game is a game that nips at the heels of greatness but lands flat on its face. A bland game is forgettable. A good game is fine. A bad game is, often, fun to trash and laugh at. A game that shoots for the moon and falls in a puddle, though, makes my heart hurt. 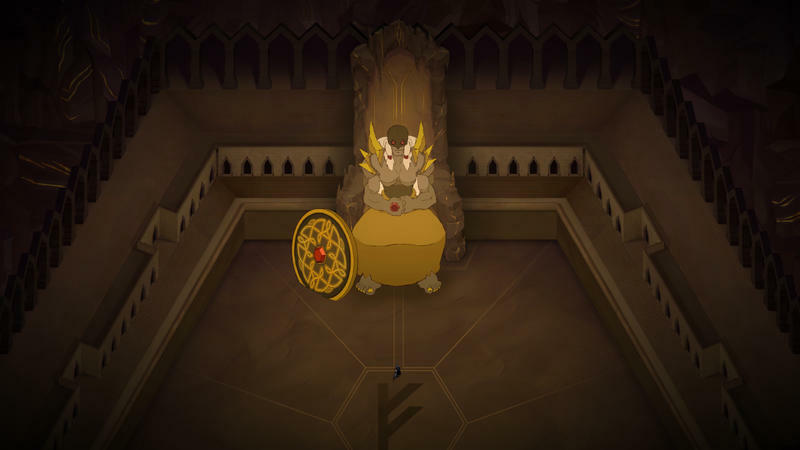 In Jotun, you play as Thora, a viking woman who died a dishonorable death. You end up in something like the Norse equivalent of Purgatory, Ginnungagap, and must fight your way out, impressing the gods to earn a noble afterlife. 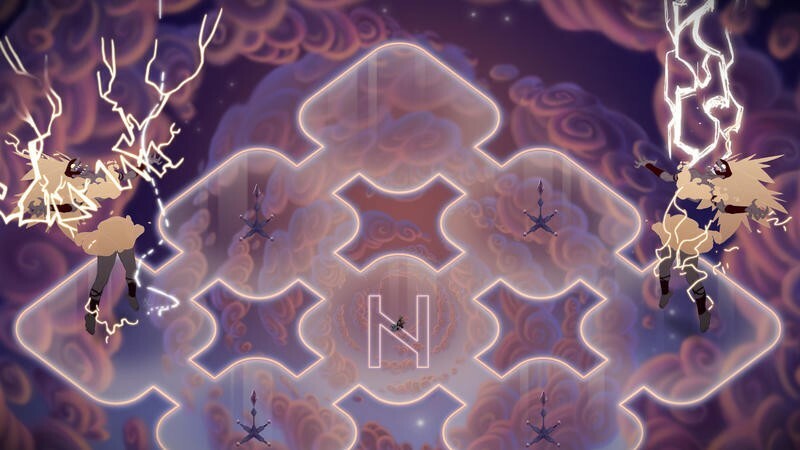 The game is steeped in Norse mythology, with each area taking you to one of the significant areas of the myth, from the roots of Yggdrasil up to the leaves. 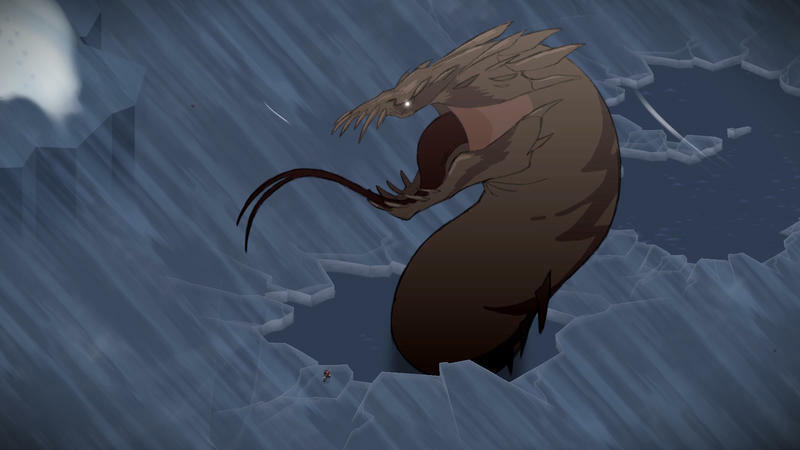 Everything aesthetic in Jotun is, in short, decadent perfection. 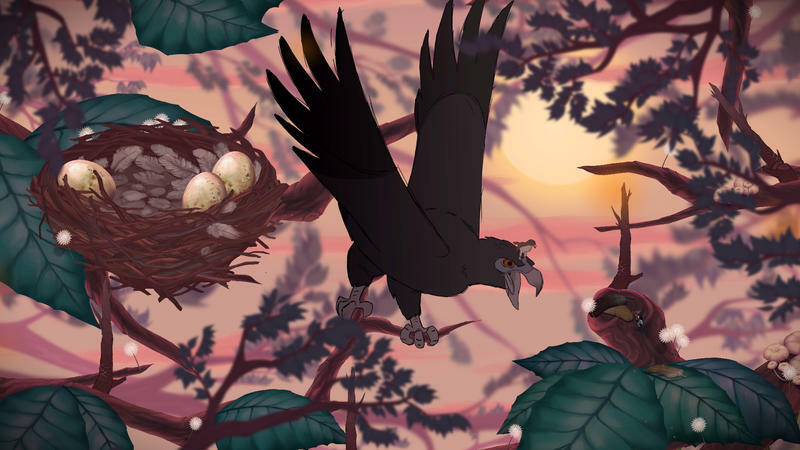 The art is a combination of lushly painted backgrounds and vistas and beautifully animated enemies and environmental elements. The music is the kind that makes you want to close your eyes and just take it in for a second. The voice-overs, narrated by Thora, are entirely in Icelandic, and they serve to pull you into the mythology. And man, Norse mythology is cool. 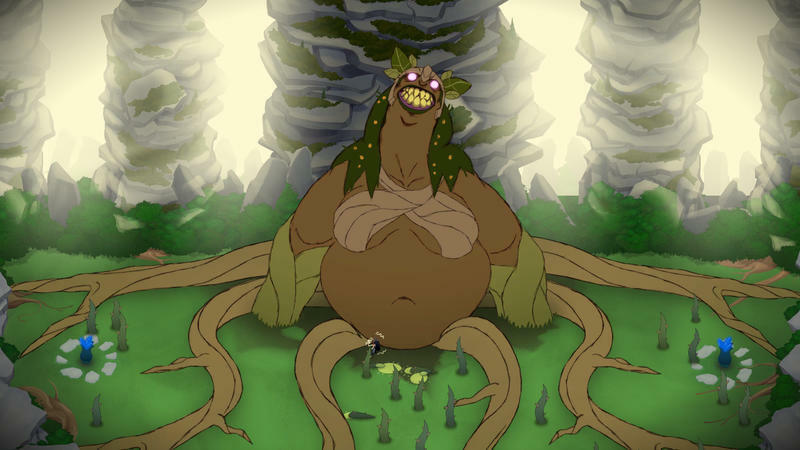 The wyrm Niddhogg the World Eater gnaws at the roots of Yggdrasil, the world tree that connects the nine worlds. Norse mythology is more metal than any metal could actually ever be. Also, there's a giant eagle that has a smaller (but still huge) hawk resting on its head. Because one raptor wasn't enough. So in all this, we have the basis for a cool game. Great source material and lavish production. The problem, here, is the "game" part of the game. Not once did I have fun while playing it. The problem is, I think the team behind it accomplished what they wanted to accomplish. 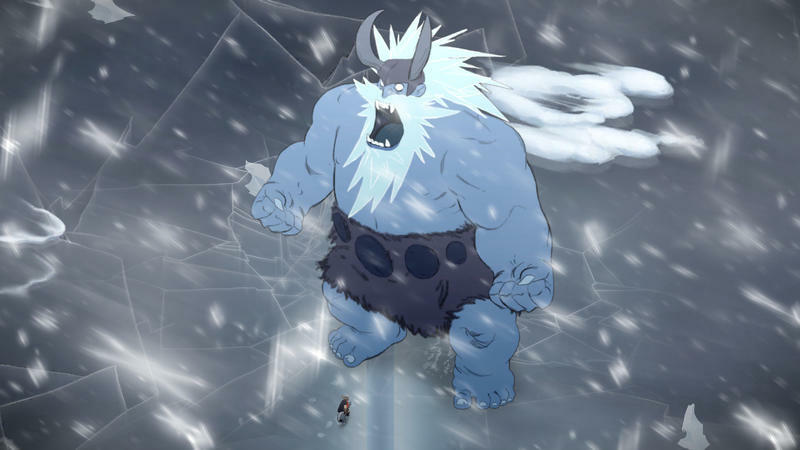 The world of Jotun is a lonely one that doesn't leave room for mastery the skills it asks you to learn. Through your travels, you earn five separate god powers, such as healing, a shield and temporary super-speed. These powers are to be used to defeat the five bosses, though the Shun the Gods achievement tells us that that the powers aren't necessary. While most games prepare you for bosses by having you use the skills you'll need over and over, honing them, Jotun does no such thing. The zones you'll navigate while collecting runes are huge, open and empty. 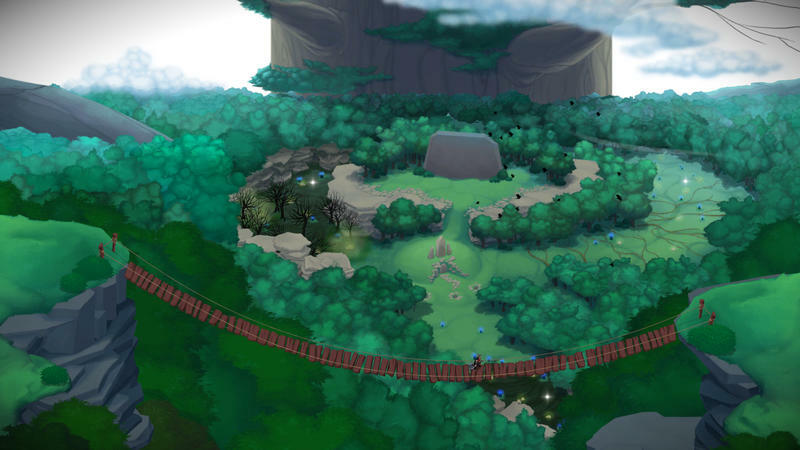 The main challenge is finding the right path to the rune and the god shrine that lies somewhere in the level. In these areas, enemies are all but non-existent, and the few spaces that do have enemies don't use them in any meaningful way. They're more set-dressing than they are actual opportunities for combat. The zones don't feel like they're well-suited to using the god powers, either. They're just huge open puzzle spaces. By the time you get to the bosses, you've swung your gigantic battle axe a few times here and there, chopping down trees and driving boulders into lava, but not ever for combat. Making that all the more frustrating is that the controls simply don't feel good. 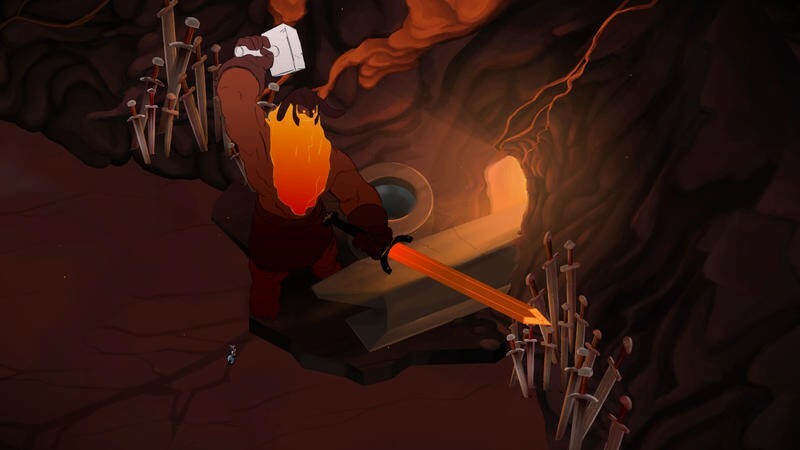 While many games have worked to blend different animations into each other to make combat more smooth, Jotun has no such worries. Each move is a discrete one. Your roll has to end before your attack begins. Your axe swing is stiff and slow. Bosses can take dozens of attacks to take down. Are they hard? I think it's more that they're tedious. They're gorgeously animated, but just plain uninteresting to fight. And those god powers have two or three uses a piece, and the only way to get them powered back up is to find a rare refill shrine – one per area, usually. If you accidentally double or triple tap a button, you'll use all three uses up immediately, leaving you without one of your main powers (this is the complete opposite of how slow and chunky the axe attacks are). I got to the bosses feeling like I had no idea how to use the powers because I didn't need them in the levels and was afraid to waste them. Like I said, you don't need the god powers and life-extending apples to finish the game, but they're certainly there to pick up. You can pick them all up and get completely powered up before you reach, but this has its own problem. I'm not sure if this was a conscious decision or not. Each area has a map on the pause screen, but there's no indicator of any sort showing where you are on the map. Remembering where I was on the map required a monumental amount of concentration. I think this was supposed to be something like a throwback to games like The Legend of Zelda, but it mostly feels like a way to make the game increasingly frustrating. Those apples I mentioned before? There's one in each map area, but as far as I could tell, no indicator tells you which areas you've found them in. If you can't remember which ones you found them in, good luck. 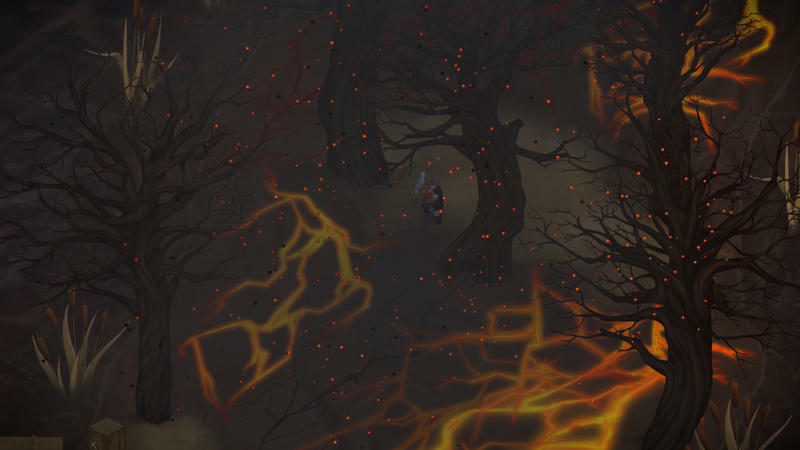 You'll end up roaming each of those huge, lonely areas again looking for them if you want the achievement or are simply struggling with the current amount of health Thora has. The developers, I think, wanted to imagine what it would be like to be a viking lost in the space between life and the afterlife. The few enemies there are are huge, terrifying and powerful, but the world they live in is stark and empty, and unimaginably vast to such a tiny being as a human. I can see how the team might feel as if they were successful, in that case, but the end result was for me more an exercise in frustration. Not with difficulty, but with tedium. As often as I felt myself drawn into the art, music and text, not once did the game itself catch me even a little. 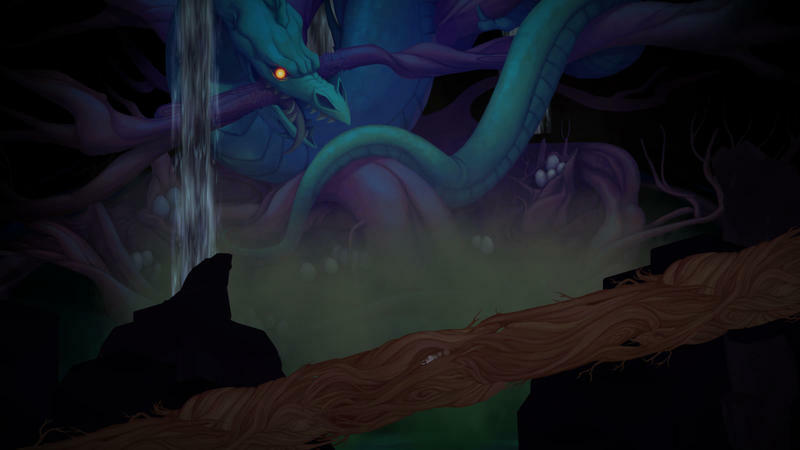 Disclaimer: We received a copy of Jotun for the Xbox One from the publisher. We played about 10 hours before writing this review.